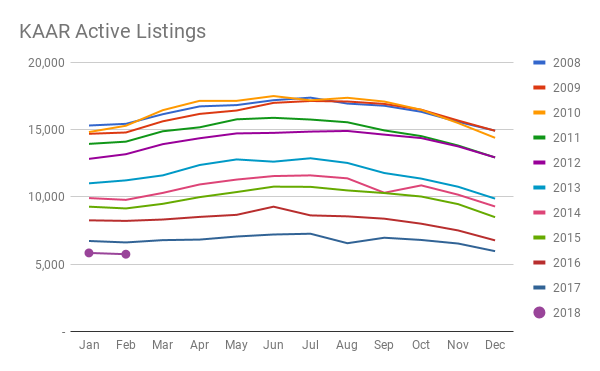 2018 is 2017:2, Seller's Market Electric Boogaloo. 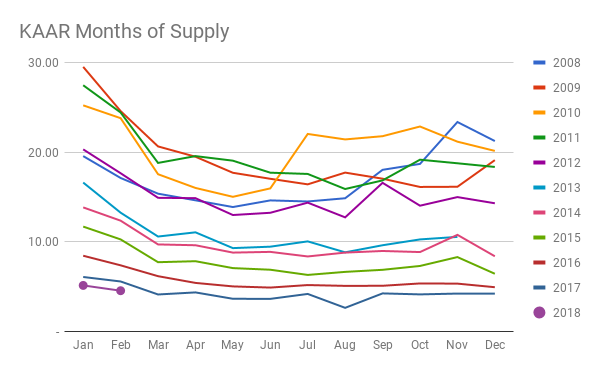 The market is strong, but we have a real inventory problem right now. It's hard to sell homes when there aren't any to sell. The Fed bumped rates, but they are still reasonable. Expect two more rate bumps by the end of the year. Pricing remains big news in the second month of 2018. It looks like smaller homes are doing great year over year, while larger, more expensive homes aren't faring quite as well. It's Spring Selling Season, people. JUST LIST IT. At this point I'd take a crystal ball, Magic 8 Ball, or anything that would give me a clue where this market is headed. Strap in. I think 2018 is going to be a wild ride.